This town is like a country song. This town is a country song. My hometown is the kind of town you have to leave in order to like. You can run away across the country, but you can’t run away from the idea of home, from its memories that stick to you like the adhesive left over after you pull off a band-aid. It travels with you like a birthmark, a scar. Like the red bumps after a mosquito bite when you sat too long in the backyard around the fire pit, pockmarks left to remind you what you lost. 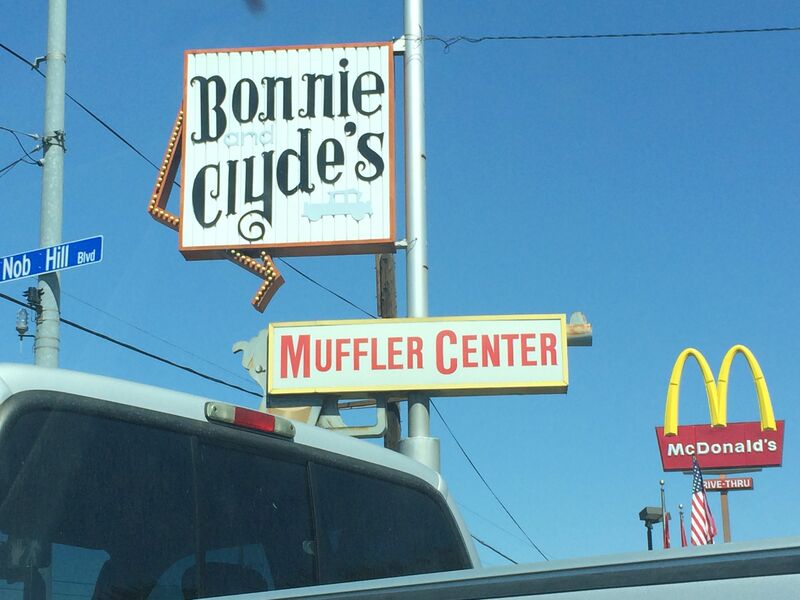 Pickup, mufflers, McDonald’s, flag. Home. Friday night, the bar swells with the fever of the unfulfilled. We’re all pawing each other on the dance floor and grasping for something to hold on to. Even for tonight. It’s always a bar; it will always be a bar. Where else will they gather? This is more than a church. The promises aren’t as big, but they are immediate and they go down mostly smooth, better than the shots of bottom shelf liquor we threw back in between songs. The women have stuffed themselves into unforgiving, too-tight dresses. The men chain smoke out front like they’ve got something to prove. The DJ plays music we danced to at senior prom. This is bittersweet and mostly sad. Half of the crowd is too young to remember when these songs were new. Going home used to make me feel like a kid again, back inside the safety of Mom and Dad’s. Now it feels a bit closer to mortality. Like I’m salvaging the last half hour before the bar closes. What good comes at last call? Nothing, so I go home to a bed I sleep in twice a year. I want to love this place un-ironically. I’m almost thirty; I’ve missed the boat on being cool, so I may as well be earnest. I love driving in Dodge trucks and feeling the wind pass through my spread fingers as my hand sails on the highway current. I love not wearing makeup and swimming in mountain streams in my underwear, shedding away the shell of adulthood and city responsibilities, ignoring work emails and the bills that wait for me back home. Home, but not really. Temporary home. In-between home. What is home but an amalgamation of ideas, memories, and childhood? What happens when my parents finally leave my hometown and make that move to some place tropical they’ve been promising all these years? Will my home exist anymore? It won’t be made of wood or brick or any tangible material, will no longer take a recognizable form–three-story, big backyard. It will only exist in the stories we tell and the memories we tuck away into photo albums. There is a reason so much country music is written about hometowns: once you’ve lost home, the only way to get it back is to make a myth of it, family lore and folk songs.